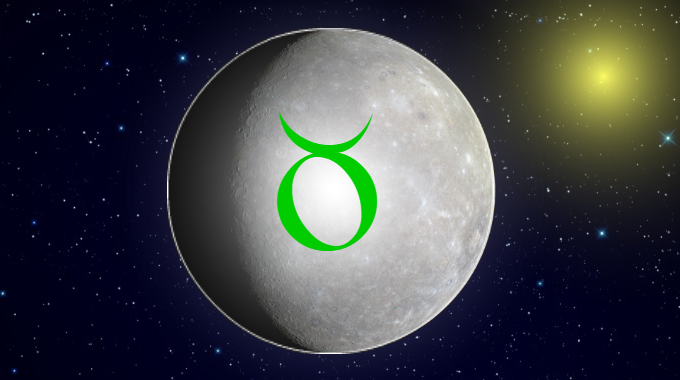 Mercury in Taurus is in a fixed earth sign and takes on the qualities of its ruler Venus. People with this placement tend to be difficult to persuade, stubborn and uncompromising in their views. They tend to favor solutions to problems which require minimal adjustment or cost, being highly motivated by practical, material and aesthetic concerns. They may have a knack for business, with their instincts skewing toward solid investments over volatile risks. On the positive side, these are people who can hold the line on public goods like the arts and beautifying public spaces. On the negative side, there can be miserly, narrow-minded or greedy tendencies. They’re probably tickled most by cake fails, make up fails, fashion fails, etc. This is especially true if you were born with Taurus, Gemini or Virgo rising. Whether you experience the better or worse significations of this position depends on Mercury’s relationship with the Sun and whether you were born during the day or at night, and the kind of aspects it makes with the other planets.